Gold Star PTA - Grown out of it. Parents have come to us and said that whilst the school shops are great during opening hours, it would make life even easier if they had an online store. So if, for example, little Noah loses his jumper, they could simply go online, make an order and sort out the problem with less stress than having to wait around, juggling phone calls and emails amidst their work and daily lives. This is where Grown Out Of It steps in to help. We fill that missing link by becoming your school’s online store. Free of charge, and it always will be, there are no strings attached. 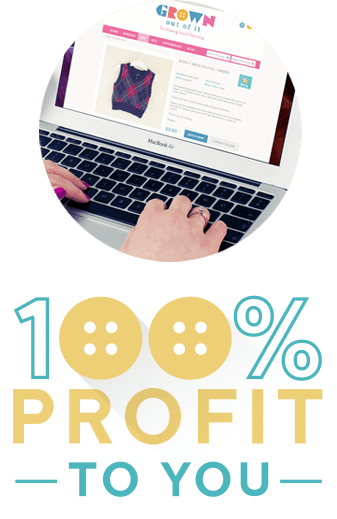 As a PTA you can set up your own online school store for free with 100% of the money going straight where it belongs – straight into your pocket. Watch this space to see how your school can gain pride and nationwide success as we prepare to launch our online PTA league table.